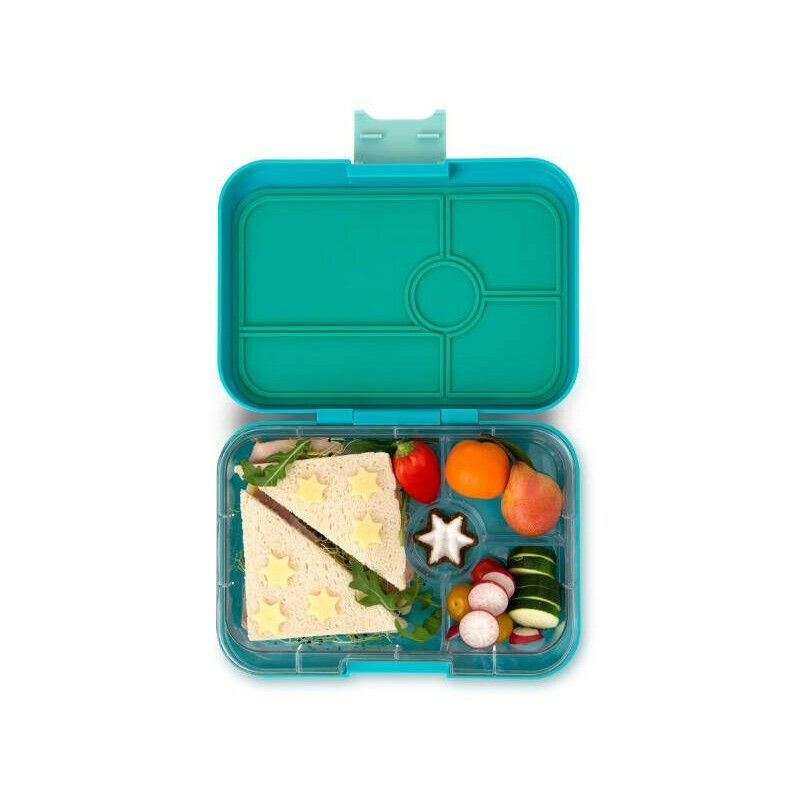 Yumbox Tapas is a bento lunchbox with 4 compartments and single lid. A large size suited for adults and teens the Tapas size has a 4.2 cup volume with 1 large 2½ cup section and 2 x 3/4 cup side servings, plus dip well. Pack wet foods like yogurt and dips (not water). Light Antibes Blue. 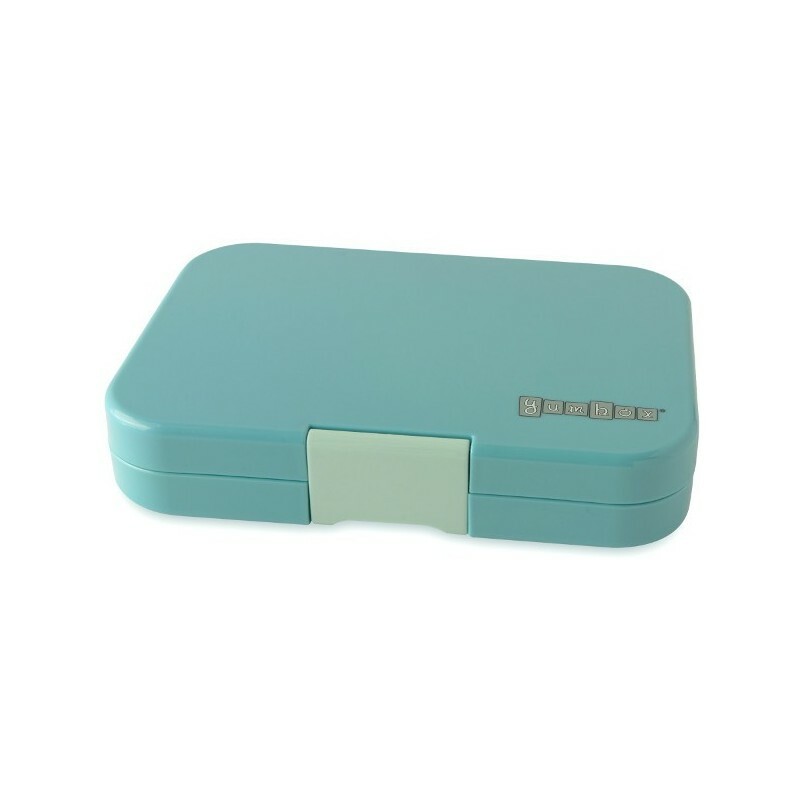 Antibes Blue is a aqua blue colour with a clear tray. 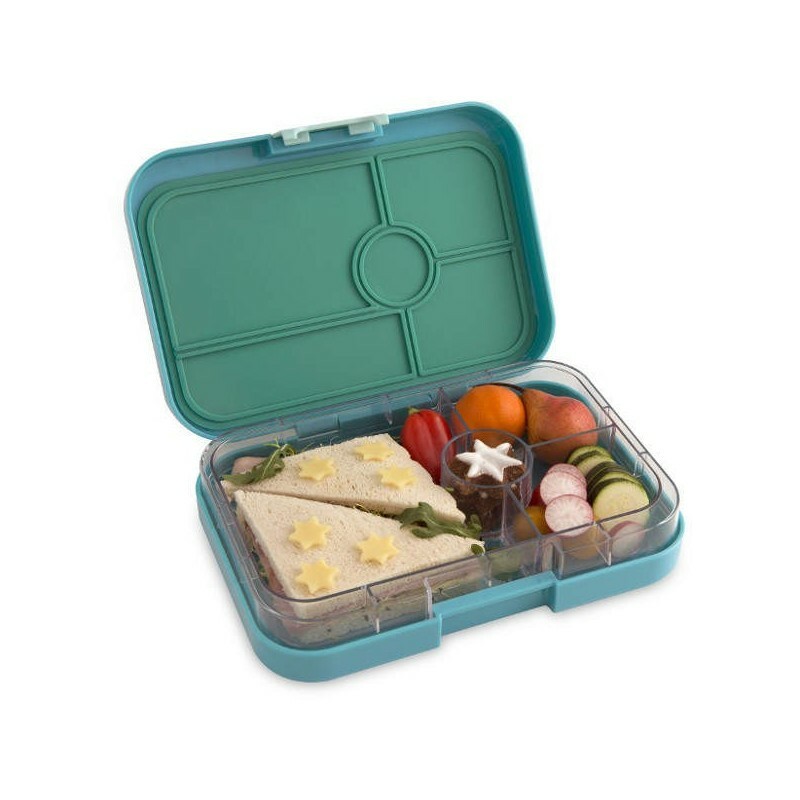 Perfect Lunchbox for any age! I use these for my kids and myself, perfect for when you want lunch on the go, just pop open and pick and choose what you want. perfect for fussy eaters and helps improve better eating choices! really easy to clean and fits more then enough food for hungry tummies!